The Hummingbirds Are Coming Back! I have not yet seen the hummingbird this year. But I am so ready for them! They have been sighted in most states south of me ( Ohio). And I saw a sighting listed for Tennessee, South Carolina , West Virginia, etc according to tracking sites I found on the internet. It is interesting to track them and be ready……because they will be hungry. The hummingbirds are coming back! This site tracks a lot of different things, so be sure to pop down to the hummingbird panel. I am really anxious to explore this tracking site. If you like, enter your sightings and help others track the migration. I have pulled out all of my feeders and re-washed them just in case they have collected any dust. 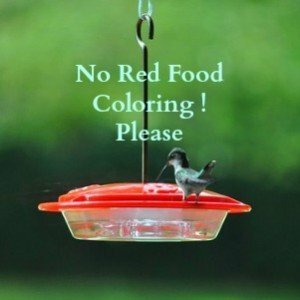 It is important to keep a clean feeder to prevent any harm to the hummingbirds. I have some moats purchased to keep the ants out of the feeders, but I will explore a way to make them myself this year. I also like to have some long hooks and chains for hanging. 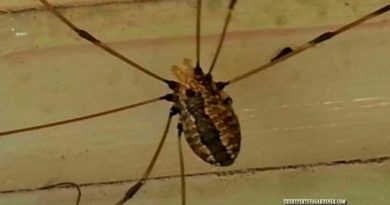 Many sites have suggestions to use petroleum jelly, chest rub, oils, sprays, etc to trap the insects trying to crawl into the feeder. But these just make a mess and could trap a hummingbird too. Just getting something on their wings by brushing against these substances could affect their ability to fly. In my opinion, don’t use them. NO RED FOOD COLORING! And don’t buy that bottled stuff which is already colored red! You can purchase hummingbird supplies through these links. 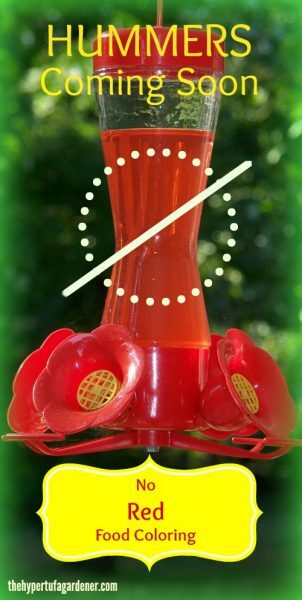 The Ultimate Hummingbirds Feeder 2-in-1 Cleaning Brush – #1 Rated By Hummer Lovers! Quick, Easy-To-Use, & Convenient! I have several feeders and I like the large openings so that they are easy to clean. My favorite ones are the flat saucer type which are easy to clean AND you can easily see the hummers since they are not blocked by a central container, eh? Set up a schedule for nectar fills. For instance, clean and refill just a few at a time. After dark, I take down 2 feeders, and clean them thoroughly. Next morning, I put 2 cups of water and ½ cup of sugar in a microwaveable bowl. Stir it up til mixed, then pop it in the microwave for 5 minutes. Remove and stir again to be sure all is mixed then set aside to cool. No need to boil sugar/water mix. After it is cooled, fill feeders and rehang. Store extra nectar solution in a special pitcher with a lid. It can last up to a week in your refrigerator and save time on refill mornings. 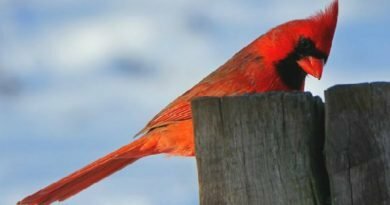 As the weather gets warmer, you will need to clean and refill the feeders more often since your hummers can get sick on old or fermented nectar. Bees, wasps, yellow jackets and other buzzers are attracted to your feeder. Try and avoid yellow parts on your feeders since yellow attracts insects. All red is better. Those insects are more attracted to “old” nectar, so keeping it fresh can help. ( Yeah, I have some yellow thingies on some feeders which I am phasing out as they age) Also, leaking feeders attract insects, so get rid of leaking feeders. Well, good luck this season, and make some pretty videos. 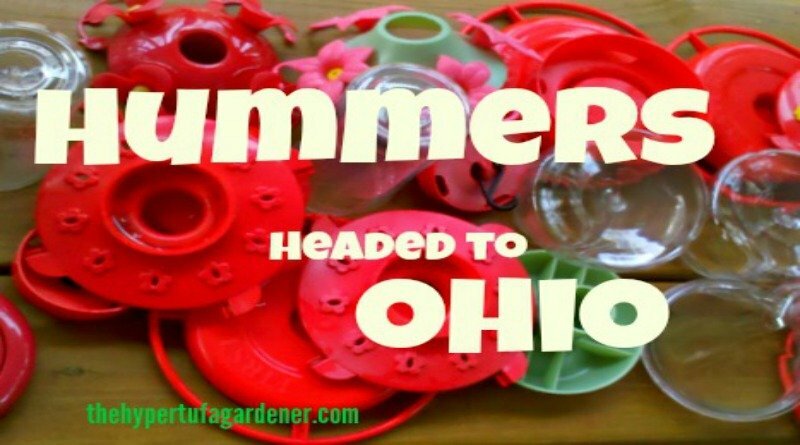 We usually get our hummers back in early April here in Ohio, so I am getting everything ready. I love watching the hummingbirds on video, almost as much as the real thing. Wish I had as many around my feeders as some of you do! 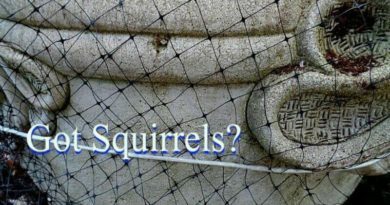 Keeping Squirrels Out of the Garden Planters? Eeek ! Daddy Long Legs!